The Home Ministry's response to an RTI request has angered a section of the iconic freedom fighter's kin and admirers who have disputed the air crash theory for decades. In a RTI reply, the government said Netaji Subhash Chandra Bose had died in 1945. 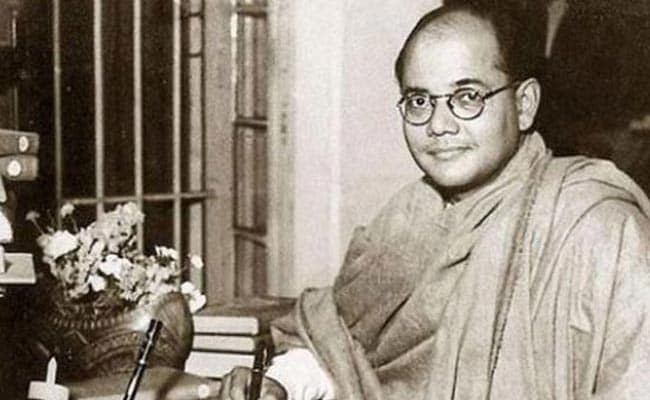 KOLKATA: The NDA government appears to have waded into the decades-old controversy around the death of Netaji Subhash Chandra Bose, telling a Right to Information applicant that the Centre has "come to the conclusion" that Netaji died in a plane crash at Taipei on 18 August 1945. The response, which reached RTI applicant Sayak Sen on Tuesday, has angered a section of the iconic freedom fighter's kin and admirers who have disputed the air crash theory for decades. "We are very disappointed. Kiran Rijuju last year told Parliament the government is not in a position to state what happened. Now this sudden U-turn. This is not acceptable," said Sen who the spokesperson for an organization called Open Platform for Netaji. "We will take to the streets to protest," he added. Sen had gone with the family to meet Prime Minister Narendra Modi twice on the issue, in October 2015 and January 2016. "The prime minister is committed to solving this mystery. We need to see if the government officials are on the same page," said Mr Chandra Bose, one of Netaji's grand-nephews who does not believe the air crash theory. He met the prime minister too over declassification of Netaji files, joined the BJP and contested the Assembly polls on a BJP ticket against Mamata Banerjee. "The PM must immediately intervene... We have sought an appointment," Mr Chandra Kumar Bose said. So strong is this belief that there was no air crash or, if there was one, Netaji survived and fled to Russia, that over the years, there have been suggestions that the government conduct a DNA test on the ashes - believed to be that of Netaji - preserved at Renkoji Temple in Japan. However, another section of the Netaji family which believes the freedom fighter did, indeed, die in the air crash, is relieved. "Let us learn from Netaji's life and his ideals, " said Sugata Bose, history professor at Harvard and a Netaji grand-nephew. A Trinamool MP, he and his mother, Ms Krishna Bose, also a former Trinamool MP, run the Netaji Research Bureau in Kolkata. For years, the BJP has steered clear of the controversy around Netaji's death. In 1999, the Vajpayee government set up the Justice MK Mukherjee Commission to probe the Netaji's death. While the two earlier commissions of inquiry had concluded he died in a plane crash in Taipei on 18 August 1945, Justice Mukherjee's report contested that. But the UPA government, in power when the report was submitted in 2005, firmly rejected the report. Prime Minister Narendra Modi too did not express any firm view when the Netaji's family met him in recent years. But he made sure that the government's files, which had been treated as top secret documents by successive governments including his own, were put in public domain.